Activist, organizer, author and officer in national, state and local women's rights organizations focused on economic, educational, and legal equality for women, Lucy Hargrett Draper holds advanced degrees in education, history, and law. She headed the first Atlanta NOW Speaker's Bureau (1968-1971), founded West Point NOW (1973-1976), Kansas WEAL (1977), Georgia WEAL (1978), and the Georgia Coalition for the Rights of Women (1996), for which she authored the Georgia Women's Bill of Rights. Lucy spent her adult life identifying, collecting and preserving the record of women in the first and second women's rights movements. Her collections include rare books, manuscripts, photographs, posters, ephemera, artifacts and memorabilia, which she has chosen to donate to public institutions. Her materials, which document the roles of the unsung heroines of the two U.S. women's rights movements, are being made available for scholarly research. To preserve this record, she established three collections. 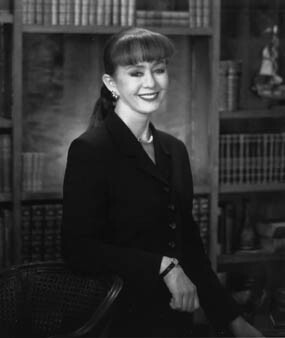 In 1995, Lucy proposed the Georgia’s Women’s Movement Project at Georgia State University, where she established a collection and endowment entitled the Lucy H. Draper Federal Equal Rights Amendment Research Collection and Fund Endowment, housed in the Library's Special Collections and Archives. In 2014, this was expanded, and is now known as Lucy Hargrett Draper Collections on Women's Rights, Advocacy and the Law (1921-). At the University of Georgia's Hargrett Rare Book and Manuscript Library in 1996, she established the Lucy Hargrett Draper Center & Archives for the Study of the Rights of Women in History & Law (circa 1550-1920).